GeekSpecs – Page 3 – Your tool to be a Geek. Using Tor protects you against a common form of Internet surveillance known as “traffic analysis.” Traffic analysis can be used to infer who is talking to whom over a public network. Knowing the source and destination of your Internet traffic allows others to track your behavior and interests. This can impact your checkbook if, for example, an e-commerce site uses price discrimination based on your country or institution of origin. It can even threaten your job and physical safety by revealing who and where you are. For example, if you’re travelling abroad and you connect to your employer’s computers to check or send mail, you can inadvertently reveal your national origin and professional affiliation to anyone observing the network, even if the connection is encrypted. Internet data packets have two parts: a data payload and a header used for routing. The data payload is whatever is being sent, whether that’s an email message, a web page, or an audio file. Even if you encrypt the data payload of your communications, traffic analysis still reveals a great deal about what you’re doing and, possibly, what you’re saying. That’s because it focuses on the header, which discloses source, destination, size, timing, and so on. Tor helps to reduce the risks of both simple and sophisticated traffic analysis by distributing your transactions over several places on the Internet, so no single point can link you to your destination. The idea is similar to using a twisty, hard-to-follow route in order to throw off somebody who is tailing you — and then periodically erasing your footprints. Instead of taking a direct route from source to destination, data packets on the Tor network take a random pathway through several relays that cover your tracks so no observer at any single point can tell where the data came from or where it’s going. To create a private network pathway with Tor, the user’s software or client incrementally builds a circuit of encrypted connections through relays on the network. The circuit is extended one hop at a time, and each relay along the way knows only which relay gave it data and which relay it is giving data to. No individual relay ever knows the complete path that a data packet has taken. The client negotiates a separate set of encryption keys for each hop along the circuit to ensure that each hop can’t trace these connections as they pass through. Once a circuit has been established, many kinds of data can be exchanged and several different sorts of software applications can be deployed over the Tor network. Because each relay sees no more than one hop in the circuit, neither an eavesdropper nor a compromised relay can use traffic analysis to link the connection’s source and destination. Tor only works for TCP streams and can be used by any application with SOCKS support. Tor also makes it possible for users to hide their locations while offering various kinds of services, such as web publishing or an instant messaging server. Using Tor “rendezvous points,” other Tor users can connect to these hidden services, each without knowing the other’s network identity. This hidden service functionality could allow Tor users to set up a website where people publish material without worrying about censorship. Nobody would be able to determine who was offering the site, and nobody who offered the site would know who was posting to it. Learn more about configuring hidden services and how the hidden service protocol works. Tor can’t solve all anonymity problems. It focuses only on protecting the transport of data. You need to use protocol-specific support software if you don’t want the sites you visit to see your identifying information. 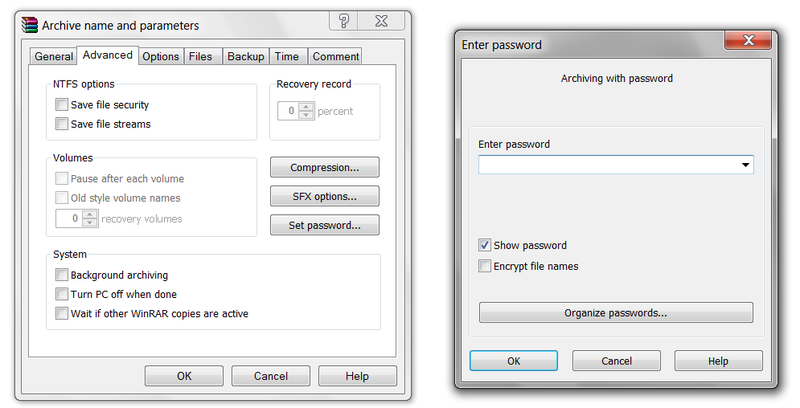 For example, you can use Torbutton while browsing the web to withhold some information about your computer’s configuration. Also, to protect your anonymity, be smart. Don’t provide your name or other revealing information in web forms. Be aware that, like all anonymizing networks that are fast enough for web browsing, Tor does not provide protection against end-to-end timing attacks: If your attacker can watch the traffic coming out of your computer, and also the traffic arriving at your chosen destination, he can use statistical analysis to discover that they are part of the same circuit. That’s a vey weird title, isn’t it? It’s simply the name of the best web service in entire WWW domain. It’s commonly referred as IFTTT. It works on a simple principle; Action and Reaction. It allows you to set up triggers, which are the stimuli and generates the required response. The combo of these two forms a Recipe. And the streamed flow of action control is termed as channel. You can set up personalised channels and associate almost all web services available. For example: Facebook to Twitter. This recipe will allow you to post your Facebook update as a tweet in your twitter account without your permission. Thus IFTTT eases out your work to a great extent. IFTTT currently has 65 channels including almost all popular services like Facebook, Twitter, WordPress, YouTube, Pocket, and Evernote. 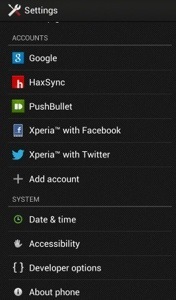 It also allows you to send notifications from one channel to another. Example: you can set up a recipe wherein you shall receive a text message on your mobile phone if its going to rain tomorrow or receive a text message if you receive any new email. 1) Tweet my Facebook status. 2) Save videos liked on YouTube in Pocket. 3) Weather Conditions pushed to Pebble SmartWatch. 5) Lifehacker Posts sent via Email. Whenever we want to install a software, we simply run the executable file and start working with that piece of code. 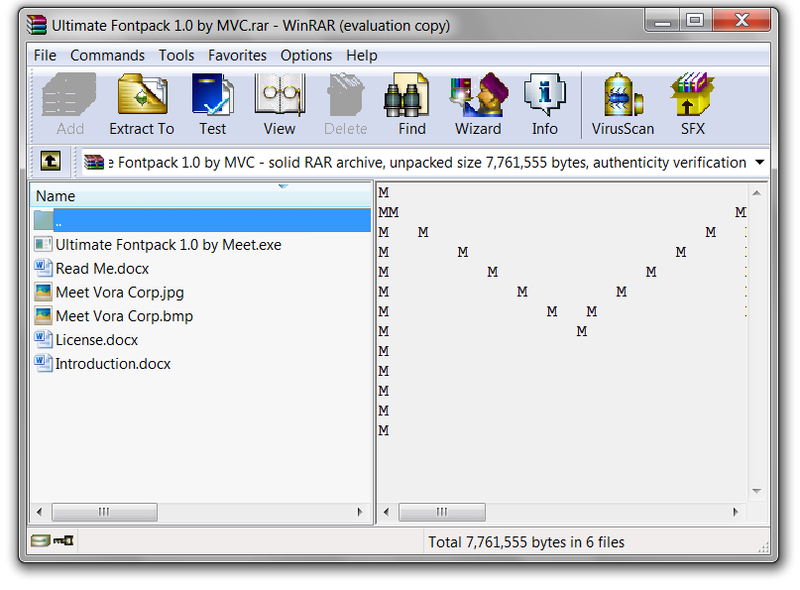 In this post, I’ll show you how to make an installer, without any programming. Note: The product of entire process described below isn’t an installer in true sense, but will help newbies get an idea of how an installer works. And you must have WinRAR installed on you PC. I’m going to describe the steps by using an example. 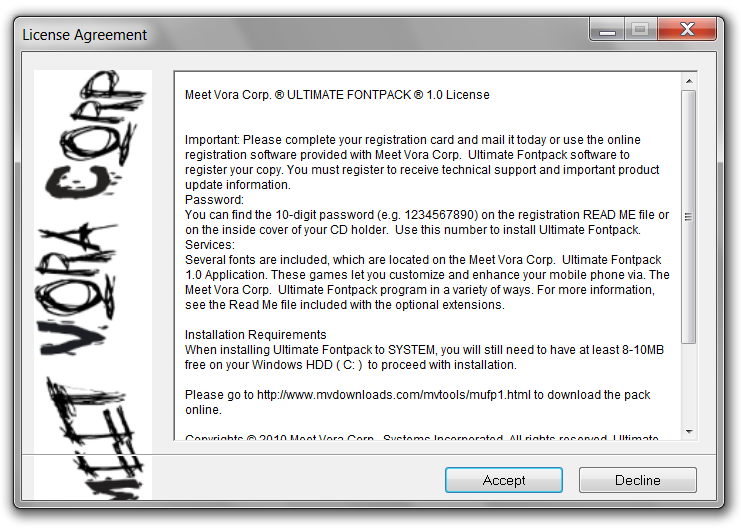 I want to create an exe file which installs fonts on my system. So, here’s how you do that! 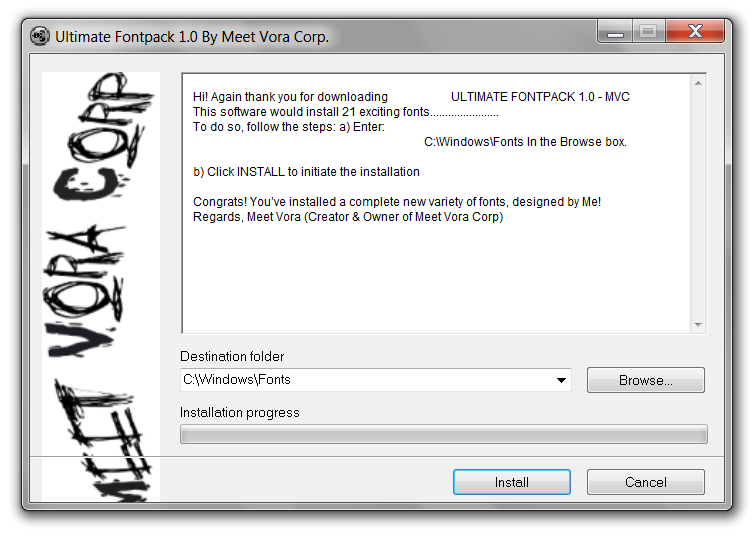 Step 1: Select the fonts you want to incorporate in your installer. Click the right button and select Add to archive. 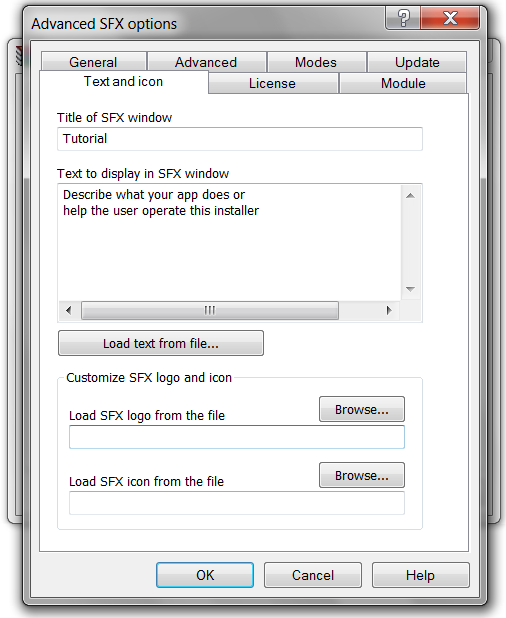 Step 2: Give your file a suitable name in Archive Name Text Field and check the Create SFX Archive. 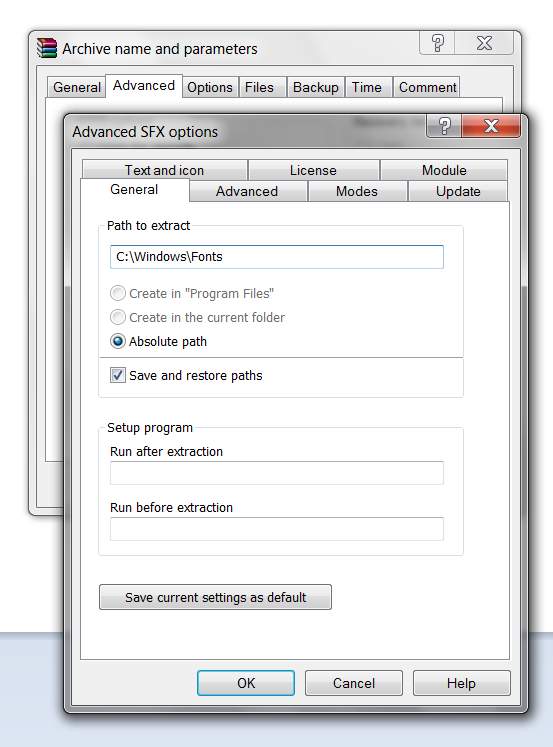 Step 3: Proceeding to the Advanced tab, click on SFX Options. Step 6: Go to Text and Icon tab. Fill in the required text fields. In the same window you’ll observe Customization options. Select the *.bmp images for the logo and *.ico files for your icon. Proceed by clicking the OK button. 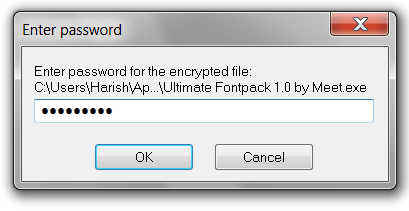 Step 7: You can password-protect your installer. Step 8: After finishing Steps 1 -7, it’s time to give a finishing touch. 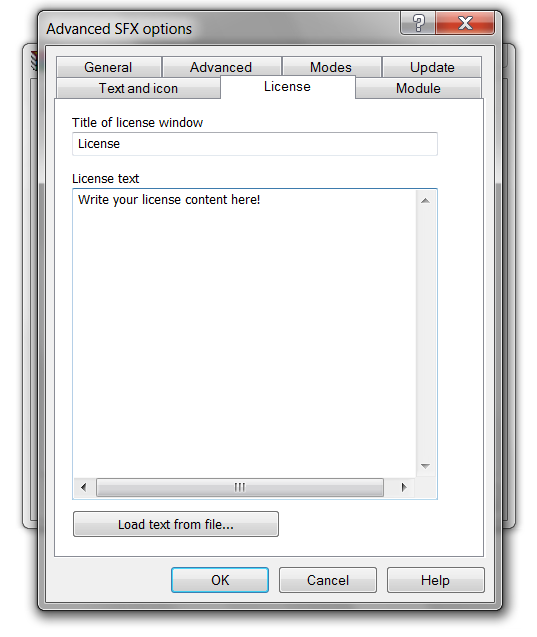 Make yourself a license file, a read me file and some other deceptive stuff. 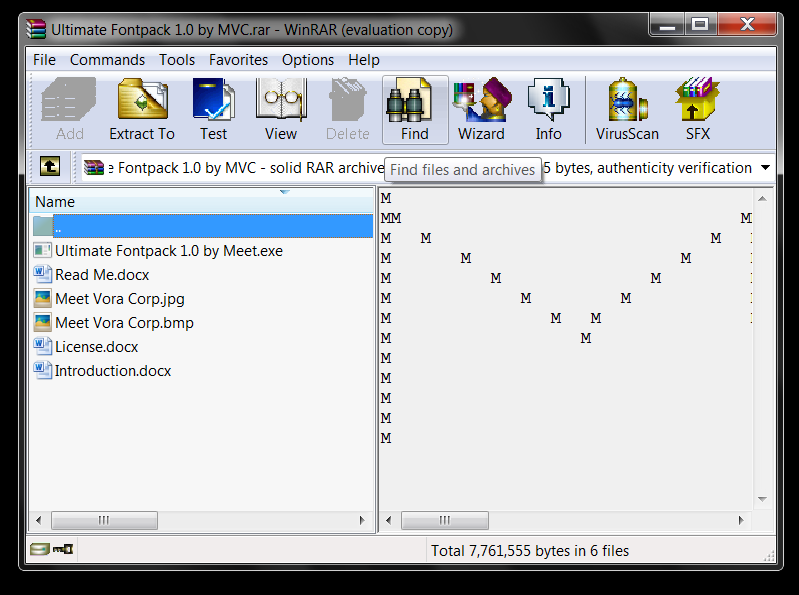 After finishing off, with these, make another archive, as *.zip , and add all these content together. Make sure you Credit the developer who owns that content and of course, me, who helped you out with this! I’m providing few of my installers. There’s always a time when we need a temporary and disposable email address. And in this post, I’m gonna discuss the same. 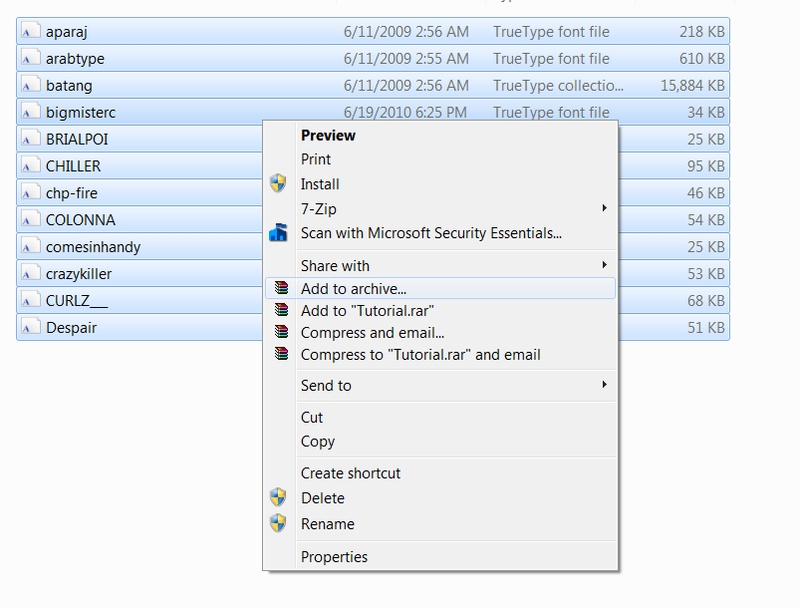 One can create temporary email id and receive emails at that address. Dispostable works like a charm. Here, you don’t need any password to check your inbox. It works on a simple principle “open Email ID”. The biggest advantage of the service is Spam Free Inbox. Users can use their @dispostable.com Email IDs to sign up at websites which may spam your inbox. If a group of people share a common Email address, this website would allow all of them to access their mails without any password. Secondly, users can’t send emails, so the possibility of one using the group Email ID in wrong way. There are other providers too, like AirMail offer same service, but I prefer the former because its lighter and faster. Maintaining your old Android device. Your Android phone is a powerful computer. But like any other computer, it won’t run at its best without proper care and maintenance. If you’ve ever owned an Android phone, you probably noticed that it became slower after a few months of use than it was when you first brought it home from the store. There are several reasons for this phenomenon, and in this article I’ll explain how to get your Android smartphone back into tip-top shape. You can accomplish a lot of what I’ll be recommending here by performing a simple factory reset; but if you take that approach, you’ll lose your data and have to reconfigure your phone. So instead, grab your Android phone and follow these steps to get it running like new again. Have an app that’s always crashing? Rather than force-closing or uninstalling it, try clearing its cache. This simple step will help resolve most of the issues that troublesome apps may be experiencing–and it won’t create new problems, as forcing the app to shut down might. 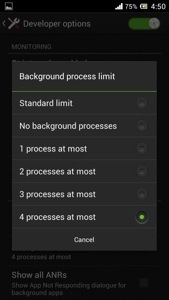 To clear an application’s cache, open the Settings menu on your phone and click Applications. Then select Manage Applications and tap the app that’s been having problems. Don’t worry–all of your data and settings will remain intact; you’re just getting rid of temporary files that may be causing difficulties. Check your app drawer for apps you don’t use or need. Even though it’s my job to love apps (and I do love them), improperly written ones can cause all sorts of trouble for your Android phone. Built-in problems can range from storing critical data as a plain-text file in your memory card to sullying your notification bar with constant updates that can’t be disabled. Consider the official Facebook app: Opening it automatically turns on your GPS, in case you want to upload a photo or create a status update that shares your current location. That’s fine and dandy, except that the app periodically forgets to turn off your phone’s GPS once it’s done using it, wasting precious battery power and leaving you scrambling for the nearest outlet. Even apps you aren’t intentionally using may be running processes in the background that waste resources for no good reason. Unfortunately, task killers are generally ineffective at combating this problem, so your only practical option is to open your app drawer and uninstall apps that you don’t regularly use. Doing so will open up space on your phone for more music, videos, and pictures, and it will help reduce the number of apps that are running in the background. Cleaning out your SD Card may not boost your phone’s performance, but it makes sense to remove any old or unused files that are just taking up space on the card. 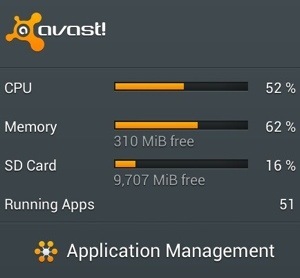 To identify the biggest hogs on your memory card, I recommend installing DiskUsage. 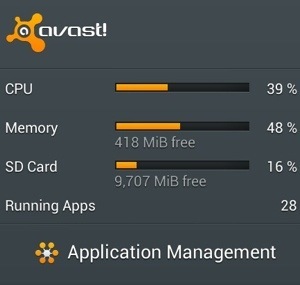 This app shows you which files on your phone are taking up the most room, though you’ll have to plug your phone into a computer or use a file browsing app (such as Astro) to delete the unneeded files. You should do this whenever you uninstall applications, largely because some apps leave folders of data behind when they’re uninstalled. If your phone is rooted, you can download the SD Maid app to automatically clear out old junk files. SD Maid also lets you freeze or remove any bloatware that came preinstalled on your smartphone–so you can finally get rid of the annoying Blockbuster app that continually asks you for updates. If you don’t mind voiding your warranty, rooting can breathe new life into an ancient Android phone. We’ve described how to root your Android phone countless times in the past, so you can refer to one of those guides when you’re ready to walk through the actual process. A rooted phone gives you complete control over your Android device: You can remove unwanted bloatware, install root-only applications, and even load custom ROMs that change the look and feel of Android on your phone. Another benefit of rooting is that you no longer have to depend on your carrier for Android updates. 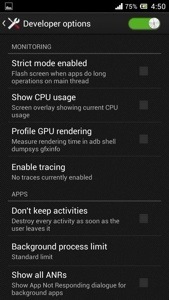 While everyone else is waiting for their phone to receive Android 4.0, you can probably find a ROM for your phone that will give you a taste of Ice Cream Sandwich a few weeks or months before the update officially appears. Rooting isn’t without its hazards, however, and a serious mistake can render your phone unusable. In my opinion, though, the benefits are worth the risks, especially if you have an older Android phone; it’s definitely an option you should consider if you aren’t satisfied with your current Android situation. Build your own Google Glass. Last April, Google announced Project Glass. Its goal is to build a wearable computer that records your perspective of the world and unobtrusively delivers information to you through a head-up display. With Glass, not only might I share fleeting moments with the people I love, I’d eventually be able to search my external visual memory to find my misplaced car keys. Sadly, there is no release date yet. A developer edition is planned for early this year at the disagreeable price of US $1500, for what is probably going to be an unfinished product. The final version isn’t due until 2014 at the earliest. But if Google is able to start developing such a device, it means that the components are now available and anyone should be able to follow suit. So I decided to do just that, even though I knew the final product wouldn’t be as sleek as Google’s and the software wouldn’t be as polished. Most of the components required for a Glass-type system are very similar to what you can already find in a smartphone—processor, accelerometers, camera, network interfaces. The real challenge is to pack all those elements into a wearable system that can present images close to the eye. I needed a microdisplay with a screen between 0.3 and 0.6 inches diagonally, and with a resolution of at least 320 by 240 pixels. Most microdisplays will take either a composite or VGA video input, the former being the easiest to work with. A quick search on the Alibaba global supply website returned several candidates; most suppliers will gladly fulfill orders for a single display and matching control electronics if you contact them directly. However, the corresponding optics for mounting these displays—which required them to be placed directly in front of the eye—were too bulky. To build a sleek device, I needed to be able to mount the actual display on the side of the head and bring the image around to the eye. This setup is actually easy to make if you have the right equipment, which I don’t. Luckily, back in 2009, a company called Myvu (now out of business) sold a line of personal head-mounted video displays for iOS devices. Myvu’s products were sleek and small because they used a clever optical system alongside side-mounted screens. I was able to procure a Myvu Crystal on eBay for just under $100. Within it I found several components needed for my wearable computer: optics, a 0.44-inch microdisplay, and a display controller capable of handling a composite video input. For the frame on which to mount the screen, I tried several kinds of safety goggles before settling on the ones that worked best. Next, I needed an onboard computer. Since I was using a display controller that accepted only a composite video input, the obvious choice was a smartphone or programmable media player with an analog video output, such as an earlier model Apple iPhone or iPod Touch, or one of several Android phones. After considering the dimensions of all these systems, it was clear that having all the components head mounted (as with Google Glass) wasn’t a viable option, so the onboard computer became a separate component that would reside in a pocket and drive the microdisplay via a cable. The key insight I had while wearing my own version of Google Glass is that the true value of wearable point-of-view computing will not be in the initial goal of supporting augmented reality, which simply overlays information about the scene before the user. Instead, the greatest value will be in second-generation applications that provide total recall and augmented cognition. Imagine being able to call up (and share) everything you have ever seen, or read the transcripts for every conversation you ever had, alongside the names and faces of everyone you ever met. Imagine having supplemental contextual information relayed to you automatically so you could win any argument or impress your date. Creating the software and hardware for such a “brain prosthesis” is certainly within the realm of possibility for the next decade, and I expect to see these features drive the mass adoption of the Google Glass technology. This is my first blog post and more importantly my first blog .The first thing I needa say is WELCOME! Being a random set of unorganized molecules, here I am to guide all the newbies out there. Solving Rubik or being efficient in calculus isn’t all about being Geeky. You might find a variety of topics being discussed here, as I (others too), prefer to increase the Entropy! You might also see quite unique stuff here, because I won’t post what’s common! Note: Please do not forget to bring your glasses along.